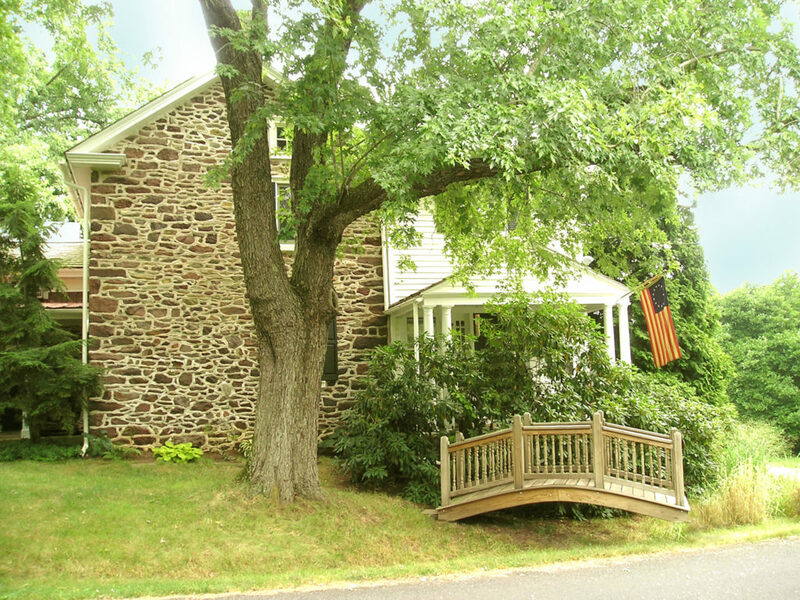 Frog Hollow Farm B&B is located on a rural country road in upper Bucks County; equidistant from Doylestown to the south, Easton and Bethlehem to the north, New Hope to the east and Quakertown to the west. 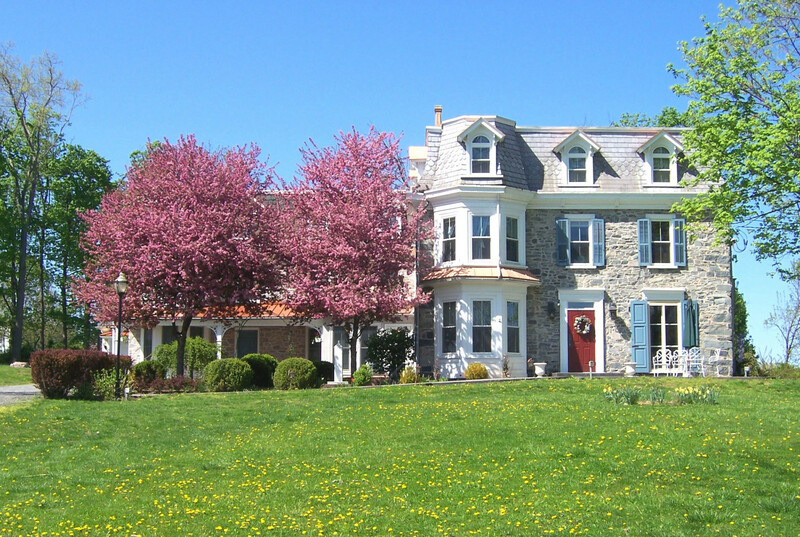 We are located 10 minutes from the Delaware River and five minutes from Lake Nockamixon. 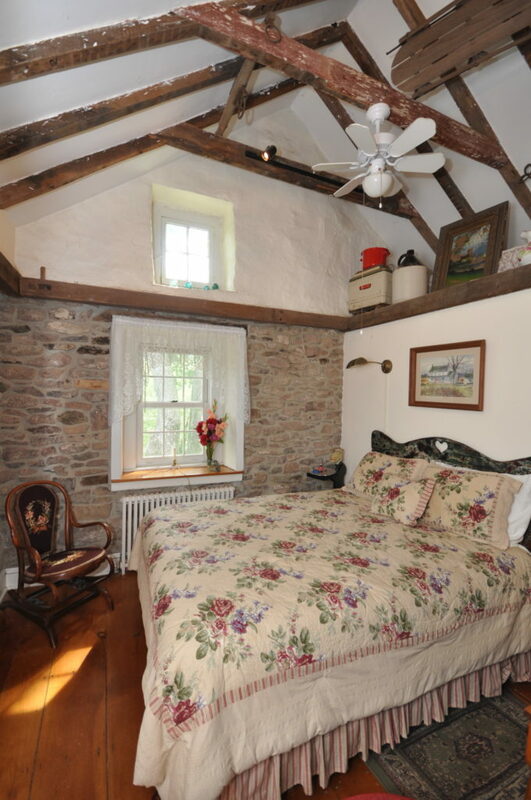 Three guestrooms – located on the second floor of a 1740s stone farmhouse – all feature separate baths, queen size beds and A/C. ; though each room is unique – one has a jacuzzi and private balcony, one features a steam shower and one has a skylight and an interior copper gutter/downspout water fountain. Common areas for guest use consist of a sunroom, dining room, living room and a siting room (with fireplace), and two porches and a sundeck. 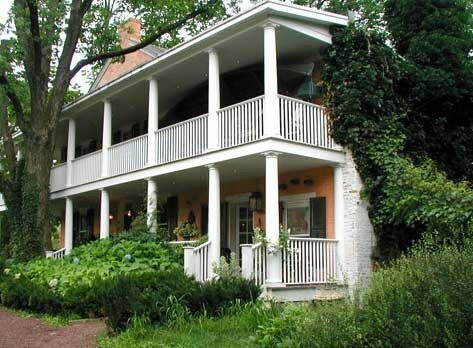 Though in the country, our inn is only minutes away from dozens of great casual and fine restaurants. We have an extensive menu book and will be happy to help you with suggestions and make dinner reservations. 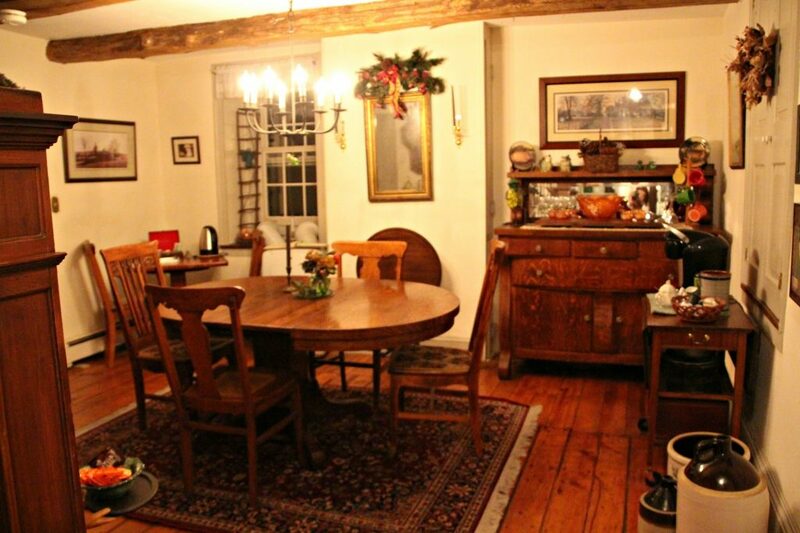 Frog Hollow Farm features an afternoon tea/lemonade and an after dinner tawdry port nightcap. A full country breakfast that changes daily from savory to sweet is included. Savory dishes (Omelets, Eggs Benedict) include homemade potatoes. Sweet dishes might be thick French toast with caramelized Asian pears, blackberry brandy and Cointreau or Rigato pancakes with lemon curd and seasonal berries. 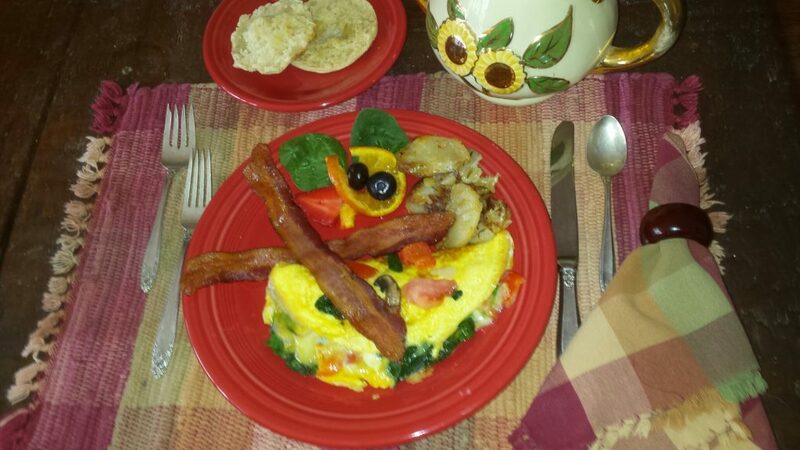 All entrees are served with fresh fruit salad and breakfast meats, breads, juice, coffee/tea. Our secluded five acres includes the original bank barn, smokehouse, tractor shed that houses antique cars, a screened gazebo that overlooks a fountain lit pond and dock, meadows, mature trees, lawns, gardens, nature paths, and an orchard with fruit trees. Sheep, cats and of course frogs inhabit our landscape. 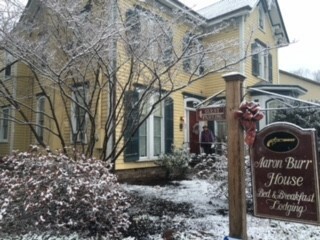 We feel as innkeepers, we provide a place where guests can step back in time and appreciate a different quality of life. 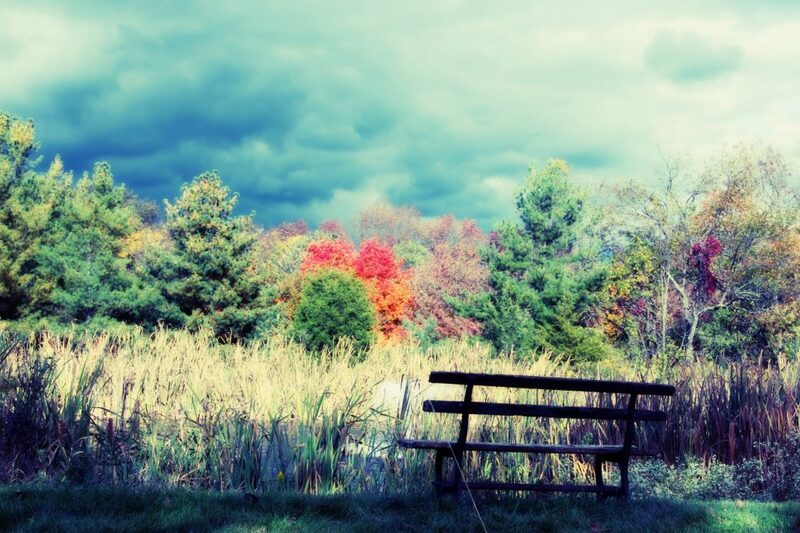 Here you can find a “ribit” of heaven on earth.